Spider Riders | Calling All Spider Riders! 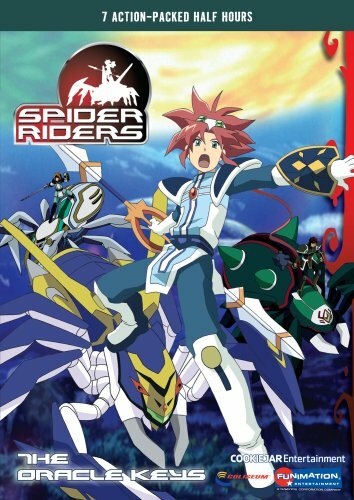 Spider Riders was a lovable anime series based on the 2004 science fiction novels by Tedd Anasti, Patsy Cameron-Anasti and Stephen D. Sullivan. The series aired a total of 56 episodes from early 2006 to spring 2007. The first episode "The Inner World" is a nostalgic favorite of most Spider Rider fans. The music and sound effects of the show were absolutely captivating, described by some fans as even "escapism inducingly good". Where to watch Spider Riders? All volumes of the Spider Riders series are available on Amazon for a very cheap price. "Calling all Spider Riders!" If you miss that phrase, then you're in the right place. This is the fan site for Spider Riders. More to come, subscribe to stay informed. Join our Spider Riders fan club.